I've got the shift lever from an 02-03 twin stick FX4 Level II Ranger. It does NOT come with the boot, or the shift ball. I can, however, include a Hurst shift ball with it. The shifter itself is in beautiful condition and looks great! 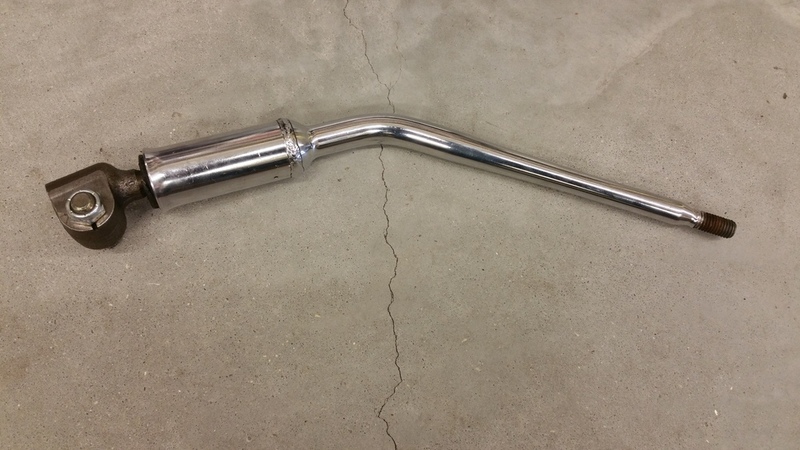 Any idea if this will fit a 1992 M5OD? Mine has the same pinch nut deal but not sure if the shaft size is the same coming out of the transmission. It should as long as its the M5OD, I don't believe they ever changed. I know for sure the whole bushing thing the stub sits in is the same, but don't know for sure if the stub itself is the same. Last edited by Dewey; 12-16-2016 at 08:38 AM. This only fits 1998+ M5OD's. The stub shaft on the older M5OD's has the pinch bolt on the passenger side of the shift lever. The 98+ trucks have it behind the shift lever. Last edited by Dewey; 12-16-2016 at 06:57 PM. GLWS! Have a very similar set up in my truck and a Hurst ball as well. This would be a great upgrade from stock. It makes shifting my 5 speed in my 2000 feel very fun.